Well, I just can't believe it's that spooky time of year; where the nights draw and time for my aromatic Halloween tea. I have to confess over the last few years, Autumn and Halloween are definitely my favourite times of the year. My other evident passions have to be crafting; I like trying to out different disciplines and learn new skills. Last week, I saw a community class advertising for Halloween pottery, two of my loves. I . know what you're thinking Halloween pottery in September it's a bit early, not really. It takes around a month for the clay pot to be processed in the kiln. I'm excited for next month. Originally, I planned to go with a friend but she felt ill. I went alone. To be honest, with how quick the session lasted, over an hour, there wasn't time to talk. I arrived late, and the class was preparing their clay, they were kneading it and separating the clay to the remove the air bubbles. The techniques seemed very similar to baking dough. Then, the class was ready to mould the clay. 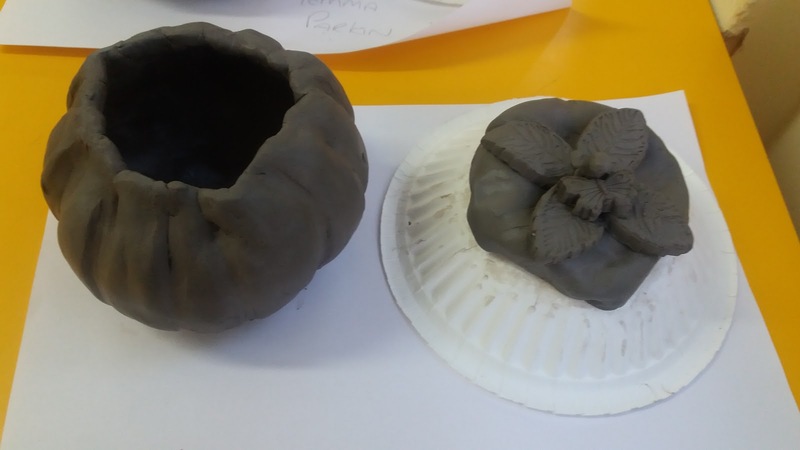 The tutor explained we could make pumpkins or a variation such as a small bowl or Jakel lantern candle holder. I decided to make a pumpkin pot. This was the beginning of my pot, I slowly moulded to give the pot to resemble a pumpkin shape by manipulating the centre to raise the sides. This reminded me of being in school and doing clay modelling. This was my pot by the end, I think it looks more like a cabbage, I'm still happy with it. 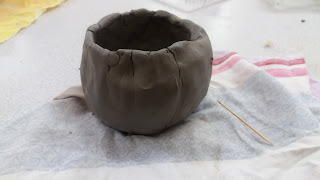 I made a lid for the pot from a separate piece of the clay by moulding it around the pot and supporting on to a paper bowl. I used icing cutters to cut leaves out from the clays to decorate lid and made a small stroke. This was my favourite post from the class, I love the handle it looks perfect for Halloween. 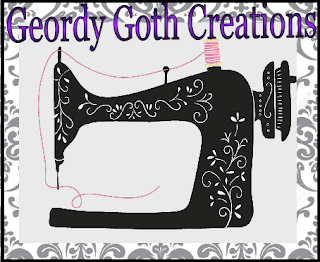 The tutor was amazing she came across very friendly and knowledgeable about her craft. She was quick and efficient in teaching us the techniques while being attentive to the learners Overall, she made a wonderful experience. I loved the whole experience from start to finish I found it very therapeutic. 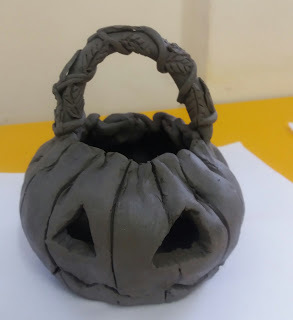 I like how it was short class and within an hour I made a pumpkin pot. Also, it's a great way to excite them mundane Monday Night. There running children's classes on Sunday between 10- 11 £10 per person. On Monday night from 6- 7 for adults it's £10, I highly recommended. This includes all the materials and kilim firing. Disclaimer: This is not an endorsed post, I just like sharing my experiences and try to support independent crafters where possible. Or just like to share my crafting experiences. That looks like a lot of fun! I really like your pot, its cute and so is the one you liked. Thanks, I am glad you like it. It was so fun even though I was by myself, that rarely bothers me. I would be happy to purchase the one I like. What a fun class idea! I'm glad you still went even when your friend couldn't. I can't wait to see your finished pot! It really is fun, and I'm so stoked about getting the finished item. I would've loved to gone with my friend but I think we might go to another session when she's feeling better. Even though she wasn't there it was so fun. I cant wait to see the end result! Me too I will post. Oh defiantly, I don't think I shall do this at home. It was intersting to do I would do another session. Sounds like a fun evening and a great way to meet new people! It was fun, I met some new people but it was so quick i didn't really meet new friends. I am also totally in love with Fall, can't wait till Halloween! :) I already did some shopping, I got so keen when I found out that my favourite baking goods store had their Halloween collection out already. Sounds like really interesting class, pumpkin pots always work. Me too I am in awe and all I have is this is Halloween by the Broken peaches version. Really worth checking it out. I already did some Halloween shopping but disappointed at this year's selection. At the moment, I'm liking my pumpkins, so it will be nice making my own. This looks really fun and I LOVE your final design! It's too good to put sweets in for halloween though! It was so much fun and I love Halloween and autumn crafting. I think I will use this all year long. I can't wait to see the final design. Its great for something different to do for either the kids or just kid at heart. Looks amazing! Well done! I can't wait to see it finished! Big Hugs! Big hugs. I can't wait to see it as well.